Other people want this. 6 people have this in their carts right now. 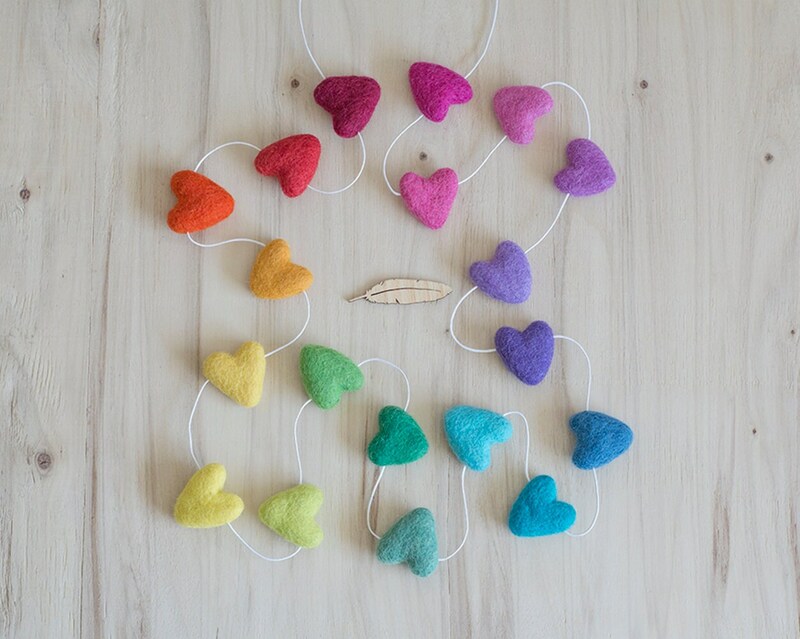 A beautiful bright rainbow garland full of heart! The hearts start at a dark red and run through orange, yellow, green, blue, purple and pink. 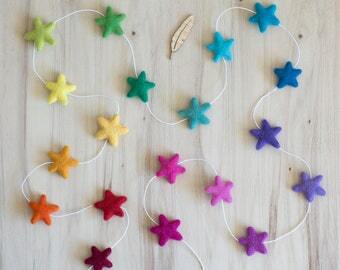 Loved by Montessori and Waldorf/Steiner parents for the natural rainbow colours, wonderful for decorating playrooms and bedrooms. 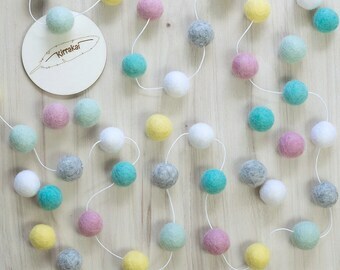 This bunting makes a cute decoration for your parties and celebrations, for nurseries and kid's rooms. Give as Baby Shower gift when the gender is not yet known or just keep one for yourself! Each Heart is carefully threaded onto a waxed cotton cord in colour of your choice (photo shows White Thread - other thread colours are available). Heart Size: 30-35mm (Approx. 1 1/2") in height and width, 9-12mm thick. The length of this bunting comes in 1.5 Meters (approx. 5 Foot) 19 Hearts and 3 Meters (approx. 10 Foot) 38 Hearts. Spacing between each heart as shown in photo with some extra length of cord for tying. No knots had been made on the cord so you are able to move the hearts to your required spacing. The felt grips the cord so the hearts will not move by themselves. Each heart is wet felted in Nepal by skilled crafts women who shape each heart by hand using hot water and soap on wool roving and then rubbing and rolling until the fibers of the wool bind together to form a beautiful felted heart. 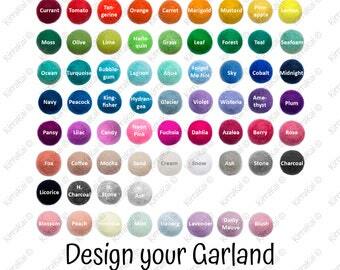 If you are after a specific length of thread or colour combination that is not listed, please feel free to message us. Perfect! Looks beautiful in my daughters room! The colors are so beautiful. Shipping was fast. Love it!